In 2014, a brand called Epic Cigars was launched by a newcomer to the premium cigar industry named Dean Parsons. Parsons was a cigar enthusiast who had been working in the real estate business in the Turks & Caicos Islands. During his time in the Caribbean, he made several trips to the Dominican Republic. This led him to convert his passion for cigars into a full-time business. Parsons launched Epic Cigars with two releases – the Epic Corojo Reserva and the Epic Maduro Reserva. The cigar names would be shortened to Epic Corojo and Epic Maduro. 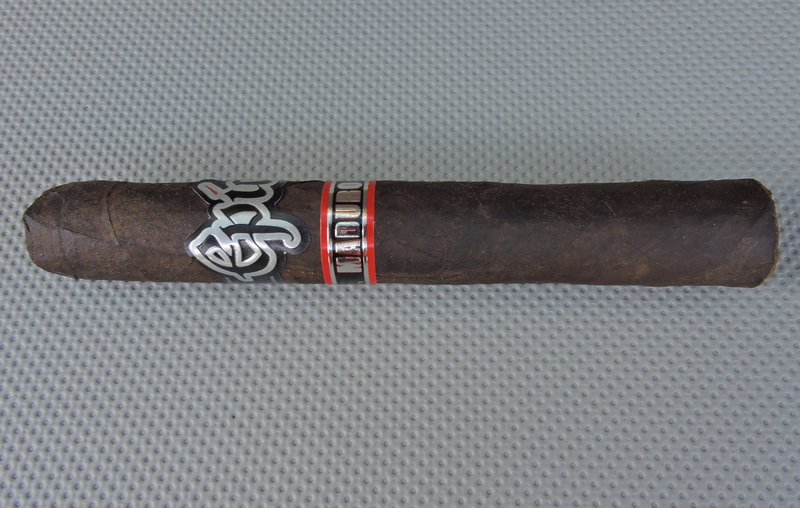 Today, we go deeper and look at the Robusto size of the Epic Maduro. Since 2014 Parsons has grown his portfolio by adding two additional regular production lines, the Epic Habano and the La Rubia (a Connecticut Shade offering). There have also been two limited edition lines that have been added to the portfolio – the Epic Maduro Fuerte (a bolder version of the Epic Maduro) and Project E. In 2017, Parsons launched a line called Smoking Shields, a collaborative project for the Smoking Shields club which is a non-profit organization that raises money for those who serve in law enforcement and their families. While Epic Cigars has gained a loyal following in the U.S., it also has garnered quite a strong following in the German market. Parsons partners with the Charles Fairmorn factory. This is a factory located in the Dominican Republic run by Rolando Villamil. This is the factory best known for making the majority of Glen Case’s Kristoff Cigars. The blend to the Epic Maduro is a four-country multi-national blend highlighted by a dark Brazilian Arapiraca wrapper. The cigar also features a Cameroon binder and filler consisting of Dominican and Nicaraguan tobaccos. The Epic Maduro is available in five sizes – each presented in 20-count boxes. The Brazilian wrapper of the Epic Maduro Robusto had a dark espresso color to it. There was a light coating of the oil on the surface. The darker shade of the wrapper did a decent job at hiding the wrapper seams. At the same time, there were some thin visible veins on it. There are two bands on the Epic Maduro. The front of the primary band takes the shape of the text “Epic” which is in large silver and black font with a red accent over the i. The sides of the band are black with a faint red chainlink-like pattern. There is also silver trim across the top and bottom of the band. Sitting on that pattern on the left side is the text “HAND MADE” in gold font while sitting on the right side is the text “REPUBLICA DOMINICANA” – also in silver font. A straight cut commenced the cigar experience of the Epic Maduro Robusto. Once the cap was successfully removed, it was time to move on to the pre-light draw. The cold draw delivered a classic mocha note – a fusion of chocolate and coffee notes. There was also a slight earthy component present. Overall I considered this to be an excellent pre-light draw. It was now time to light up the Epic Maduro Robusto and see what the smoking experience would yield. The Epic Maduro Robusto started off with notes of milk chocolate, coffee, cream, black pepper, and wood. The milk chocolate and coffee notes moved into the forefront early. There wasn’t the “mocha fusion” of these notes that I had gotten on the pre-light draw. In other words, the chocolate and coffee notes were separate and distinct. The cream, black pepper, and wood notes moved into the background – although the pepper was quite prominent on the retro-hale. During the first third of the Epic Maduro Robusto, the chocolate and coffee notes alternated in intensity with the chocolate notes having a slight edge. As the Epic Maduro Robusto moved through the second third, the chocolate and coffee continued to alternate in intensity, but the coffee notes now had the edge. During the second third, the cream notes diminished while the black pepper notes increased on the tongue. The final third of the Epic Maduro Robusto saw some earth notes join the coffee in the forefront. Toward the end of the cigar, the earth notes displaced the coffee as the primary flavor. The pepper remained a close secondary note and there still were touches of chocolate, coffee, and wood remaining toward the end. This is the way the Epic Maduro Robusto came to a close. The resulting nub was slightly soft to the touch but cool in temperature. From time to time, the burn line of the Epic Maduro became somewhat uneven. As a result, I did find this cigar needed frequent touch-ups along the way. As for the burn path, the touch-ups kept it going straight. The resulting ash was somewhat firm. This was an ash that was light gray in color with some darker spots mixed in. Meanwhile, both the burn rate and burn temperature were ideal. The draw to the Epic Maduro Robusto was ideal. It had a touch of resistance to it – which is something that I like. Simultaneously this was a low maintenance cigar to derive flavor from. 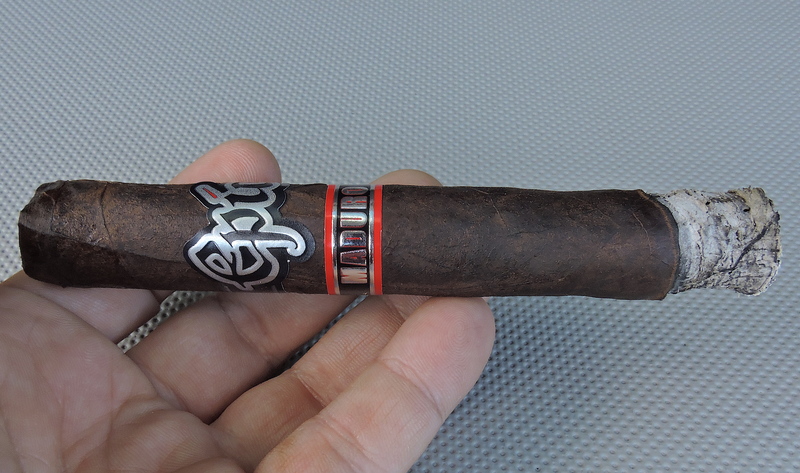 The Epic Maduro Robusto pretty much delivered a medium strength, medium-bodied cigar from start to finish. During the second half, I found both the strength and body kicked up a slight notch, but didn’t quite make it into medium to full territory. At the same time, I found the strength and body balanced each other nicely with neither attribute overshadowing the other. Much like a San Andres wrapper, I find that Brazilian Arapiraca is a wrapper that can easily overpower a blend. At the same time, both types of wrappers are still very capable of playing well with other tobaccos and delivering a more balanced blend. I put the Epic Maduro Robusto into this category. While there was some sharpness from the pepper spice on the retro-hale, the flavors on the tongue did a great job at rounding out the overall flavor profile. This is a cigar I’d recommend to a more seasoned cigar enthusiast, but I certainly wouldn’t discourage a novice from trying this cigar. It’s a cigar I’d smoke again – and certainly pick up multiples for my humidor.